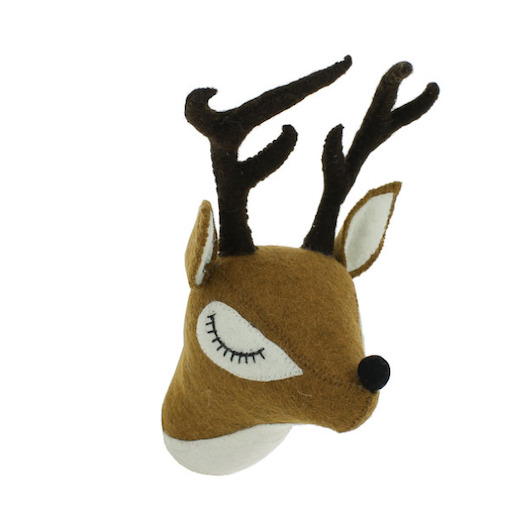 Fiona Walker Designs kids' mini sleepy deer head wall décor. Built in hook/s, lightweight, easy to hang, sits flush to the wall. 5"W x 9"D x 10"T. Real wool felt. Spot clean. Imported. Weighs approx. 2 lbs.